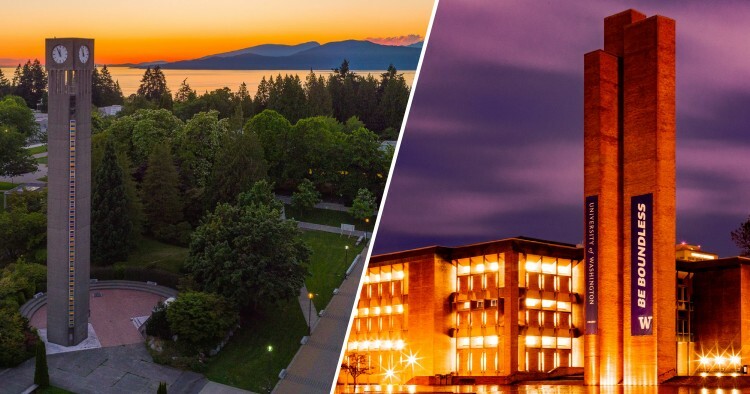 University of British Columbia, left, and University of Washington, right, have formed the Cascadia Urban Analytics Cooperative with the help of Microsoft. Today’s announcement follows last September’s Emerging Cascadia Innovation Corridor Conference in Vancouver, B.C. The forum brought together regional leaders for the first time to identify concrete opportunities for partnerships in education, transportation, university research, human capital and other areas. Contact Michelle Ma for more information: mcma@uw.edu or 206-543-2580.